Last summer, two days after privately informing the players he was stepping down as Waterford hurling manager, Derek McGrath gave an interview to WLR FM. Speaking to presenter Eamonn Keane, he confirmed the end of his reign as manager after five seasons. It took much soul-searching. His last day in charge ought to have been in Walsh Park against Cork on June 17, but that was a whole story in itself. Walsh Park hasn’t staged a Munster Championship game since 1996. Instead Thurles became Waterford’s temporary ‘home’. His last day also coincided with Michael ‘Brick’ Walsh’s final outing in the jersey after a long career. He told Keane that he didn’t want to hijack Brick’s day so he waited until a few hours later in the Horse and Jockey outside Thurles where the squad met for food and some drinks and then told the players he would not be returning. Two days later, his radio interview was mostly about hurling, good days and bad, how they forged a bond and made lasting memories. He spoke of having reached saturation level. He didn’t rule out going back in the future. At one stage, Walsh Park, the dilapidated ground unfit to host Waterford’s two home games in the Munster round robin series, came up. He was asked if Walsh Park’s failure to make the cut revealed a lack of foresight and progression. But he didn’t take the bait. Paddy Joe Ryan had been lined up to come on at the end and talk about McGrath’s contribution, which he did. But in the meantime there was a seismic shift in the tone. Amid all this diplomacy and misty reminiscence, it was like letting a cat loose in an aviary. The listeners heard Tom Murphy. He has supplied a car to the county hurling manager for over 20 years and is a long-time sponsor and Waterford supporter. Murphy let fly, calling for the Waterford County Board officers to resign en bloc. He spoke of a meeting in Dungarvan called by Derek McGrath to raise funds before the 2017 All-Ireland final and attended by Murphy, some other commercial interests and two county board officers. He claimed the board officers rejected every request McGrath had made. “They said no to everything,” he stated. And then he came to the thorny issue of the WIT sports campus at Carriganore, a potential alternative, and the topic that won’t rest. Murphy wrote that he had taken personal responsibility in August 2017 to raise €35,000 towards the All-Ireland hurling final expenses “so as our senior hurling panel and their partners could travel to the All-Ireland hurling final in the appropriate comfort and style of their opponents on the day”. In 1996, Ken McGrath made his Munster senior championship debut against Tipperary, a time when the county’s hurlers didn’t have much to be hopeful about. But it would prove the start of something, modest as it was. A year before Waterford had been torn apart by Tipperary in Cork. On this day they were competitive, losing by three points, helped by a partisan home crowd in an attendance of 15,000. While they lost they were at least more optimistic leaving the field and exiting the championship. They had also unearthed a player who would be a diamond and linchpin in their teams of following years when they reawakened as a force in the game. The day had an added significance. It brought the curtain down on Walsh Park as a venue capable of hosting matches of that stature. No Munster senior championship match has troubled its turnstiles in the 22 years since. The venue became the focal point of much anger and exasperation during the last year, with Waterford unable to play championship matches at home. The Waterford board that came under fire for neglecting the ground is now determined to push ahead with a €5m redevelopment, currently at the planning stage. As far as the board is concerned, that’s where the future lies, in a redeveloped ground that can accommodate 16,000. If it passes the planning stage, construction will take at least 12 months. The project is currently facing planning appeals and the best Waterford can hope for is that they will have the venue available for home games in the Munster Championship the year after next. But is it the best option? 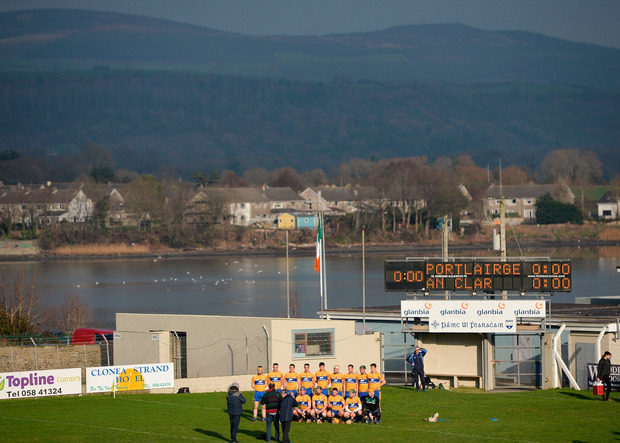 There is a body of opinion, strongly represented by influential financial backers other than Murphy, which argues a golden opportunity is being missed in not choosing a green-field site on the edge of the city at Carriganore where a first-class sports centre is located with generous parking space, adjacent motorway access, ready-made modern dressing rooms, gyms, catering and conference facilities. Waterford IT, which owns the lands at Carriganore, is keen on the idea, willing to provide a free site to develop a new stadium for the GAA. A statement from WIT, seen by the Sunday Independent, outlines its position. “WIT has offered to allow Waterford GAA build a stadium of their choice on the existing campus and will enter into an agreement to allow Waterford GAA use of this stadium whenever they wish. In addition, WIT is prepared to put all their existing facilities at Carriganore, including playing pitches, all-weather pitch, indoor arena, gymnasium, meeting rooms, video analysis rooms and corporate hospitality facility, at the disposal of the GAA. Also there are in excess of 1,000 car parking spaces on the campus which would be available to the GAA for their use. It is understood that there is a committee examining this proposition at present. “The current proposal for Walsh Park cannot match the facilities at Carriganore to any extent. Car parking at Walsh Park depends solely on street parking mainly in residential areas. The pitch is much smaller than Thurles pitch or Páirc Uí Chaoimh and cannot be extended without compromising spectator accommodation. The spectator accommodation on the northern side cannot ever be covered due to the proximity of housing nor can floodlighting be installed at any time for the same reason. Carriganore, now regarded as unsuitable by the board, emerged as a viable option ten years ago when the current board secretary Pat Flynn was chairman. He announced to delegates towards the end of 2008 that a feasibility study into building a stadium at Carriganore campus (initially proposed by the Portlaw club two years before) was to be conducted. He said at the time that “the merits of this are very positive” and that it will be “for the benefit of future generations”. In July of that year the county board confirmed that it was going to fully examine building a new 16/20,000-seater stadium at Carriganore. It never materialised. By the time Ken McGrath made his grand introduction in 1996, major works had been completed at Walsh Park with a new stand built with a capacity for 5,000. 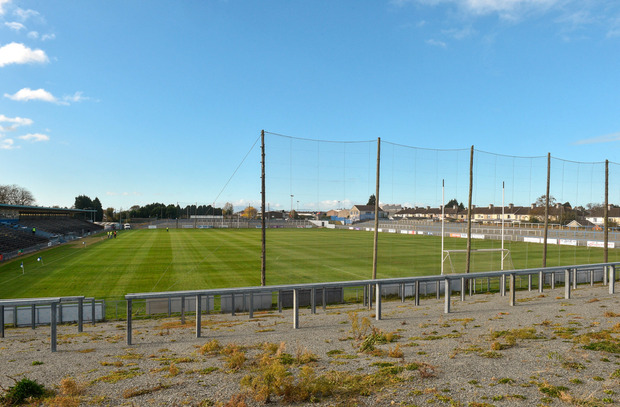 Two years earlier, Fraher Field in Dungarvan had a £500,000 revamp. Between the two projects, over £1m was spent and a large debt left behind which the board has been grappling with for most of the time since. Unpopular club levies were introduced to help reduce the board’s debts. In 2015, it was reported that a financial package worth around €500,000 from the provincial council had virtually wiped out the board’s remaining loan repayments. In defending the decision to opt for Walsh Park over Fraher Field and Carriganore, Paddy Joe Ryan has referred to the old county ground being the preferred option for both the Munster Council and the GAA. When Waterford sought to have Nowlan Park as its preferred venue to host their ‘home’ games earlier this year in the Munster Championships, Ryan said the provincial council insisted that existing regulations made this unacceptable. All neutral games had to be played at venues within the province. Ryan effectively said that their hands were tied. The anomalies in this line of argument quickly surfaced. The replay of the Leinster senior hurling final took place in Thurles, to use one example. Those concerned about developing Walsh Park highlight issues around parking, the absence of floodlights and the absence of any commercial revenue streams through hosting events like concerts, as well as the size of the pitch. A study of Waterford’s form in league and championship matches at the venue against top division opponents over the last 20 years threw up some interesting results. In Walsh Park, Waterford’s win rate was notably lower than bigger pitches in Kilkenny, Cork and Thurles, where large areas tend to suit the expansive game they’ve traditionally liked to play. Even with the redevelopment, Walsh Park’s playing surface cannot be extended. The cost of Carriganore is in dispute, with the county board saying it could cost as high as €36m at one stage, although other estimates show it would be feasible to build a 16-20,000 all-seater stadium there for €15m. Dungarvan’s Fraher Field in the west of the county, which had floodlights, has also been examined. Sources say that to build a 15,000 all-seater at Fraher Field would cost around €10.5m, and it is also a distance away from Waterford’s main population base. Walsh Park, if it were to be an all-seater, which is not in the current plans, would cost around €5m and have a capacity of 12,500. The board went with Walsh Park, claiming it had the backing of clubs. This is also in dispute, with sources saying that it was presented to them as the only viable option and they acquiesced. There was no debate of any significance on this among the clubs of Waterford. Essentially, it was an executive decision. An appeal was lodged against the Walsh Park planning decision on September 19 and 18 weeks is allowed from that date to deal with appeal issues, which would take it into January. If it gets the go-ahead, the plans are for a three-sided stadium – one end will be spectator-free. The new ground would have 9,630 seats, and terrace capacity of 5,770. The second sideline stand would be fully open to the elements due to design restrictions. The former Minister for Sport, Martin Cullen, a native of Waterford, became embroiled in the debate in July when he came on WLR FM, claiming up to €25m had been offered to develop a top-class stadium during his time in office a decade ago at the Carriganore site but the board showed a lack of interest. He said efforts by him to have a formal meeting with the county board were in vain. This followed claims from both Ryan and Flynn that the money referred to by Cullen was never available to the Waterford board. In response, Cullen said that during his time as sports minister, he was “pouring” money into GAA clubs and other sporting organisations and approached Waterford County Board about developing a 25,000-seater stadium. This is disputed strongly by Pat Flynn and Paddy Joe Ryan. When contacted on Friday night, Ryan said that their version was the true one and alluding to an action being considered over comments he claimed “defamed” board members. Economist Jim Power, who has been an instrumental figure in the Waterford Supporters’ Club in Dublin, says a chance was missed ten years ago with Carriganore. He is adamant that it can’t be missed again or Waterford will suffer in the long term. “I think that is a massive mistake for a number of reasons,” he says of Walsh Park’s redevelopment. “Part of the planning is that you cannot have any concerts, and there are no floodlights, so immediately from an economic perspective, pumping that much money into a venue that will be used only a few times each year doesn’t make sense. Its revenue-raising potential will be curtailed. Whereas if you look at the WIT option it is an integral part of Waterford life and sporting life and bringing the GAA into the middle of that would be seriously good for Waterford GAA. “Look at how Limerick has tied in with LIT and UL and the success that has led from that. To me, it is a no-brainer. This has to be seen as a long-term investment, not based on ‘short-termism’ which Waterford GAA has been hounded by for a long number of years now. “This isn’t pitting Waterford County Board against the rest of us. We all have much in common, we are all very passionate about Waterford GAA. We support it, we fund it. But I think the WIT offer needs to be given serious consideration, to be put on the table. Did they give you an ultimatum? He is asked if they came under pressure from Munster Council and Croke Park to choose Walsh Park. “They are anxious to redevelop Walsh Park. I mean the basic structures are there. We don’t have to do a total revamp. I mean Galway (stadium) is in Salthill, the city, and Kilkenny is in a built-up area, and Cork is as well. They are all the same. Ennis is in a built-up area. Limerick. Tipperary. He said the clubs had made the decision to run with Walsh Park having considered the other options. Did they have enough time to consider it? Did you present it as the only option? But you were advocating Walsh Park? Ryan is in his second term as chairman, having served for ten years in his first spell in the chair. Next year will be his last year in the seat. In between those two stints, dating back to 1994, he served as the county’s representative on Central Council and Munster Council. “The main thing, let me finish by saying, I am in my 14th year next year and we are going to win the All-Ireland next year,” he remarks lightly. It could happen, he hears in response. The fate of Walsh Park and impact on the future of the county’s GAA interests may occupy Waterford minds before then.